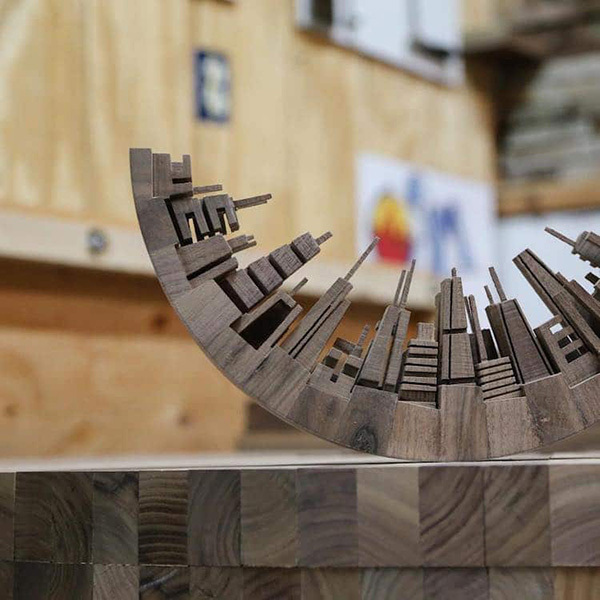 “Artistry with a band saw” I recently came across the beautifully carved, cityscape sculptures by Philadelphia based artist James McNabb. 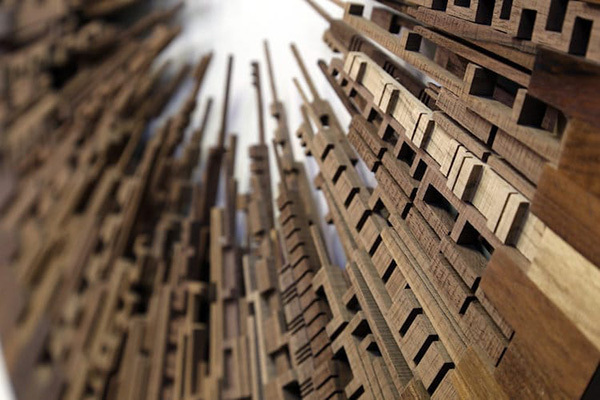 His abstract carvings of urban architecture form large geometrical shapes that are composed of reclaimed wood. 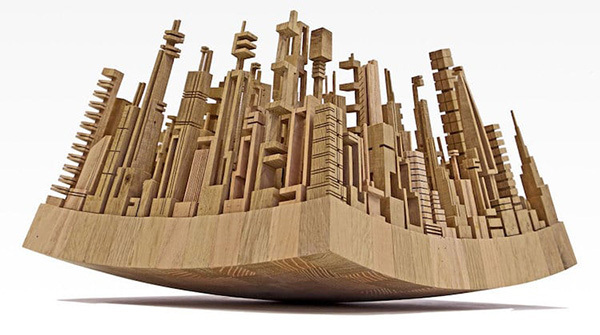 Each elongated element resembles hundred miniature skyscrapers, mirroring the essence of cities across the world. The skyscrapers jointly point towards empty centres. This is a really great and creative idea to try something new as an art activity. Thank you for sharing this artistic masterpiece. Keep up the good contents!